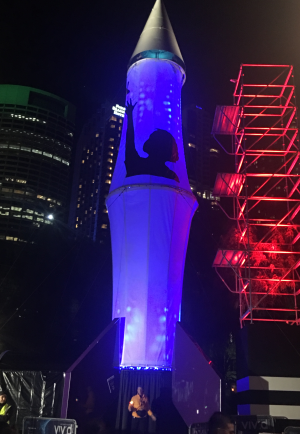 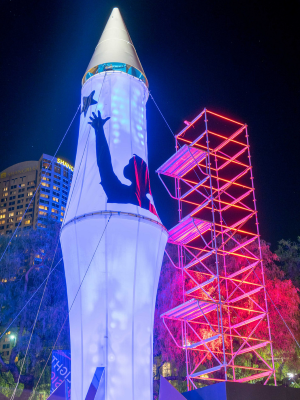 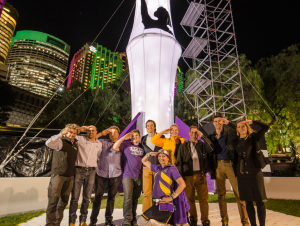 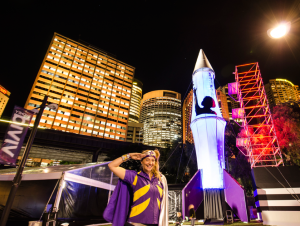 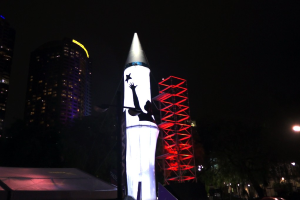 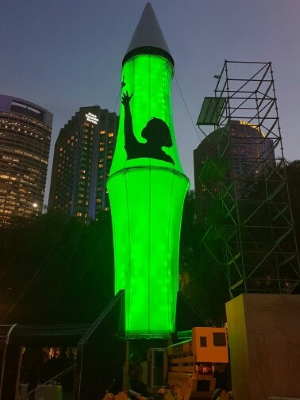 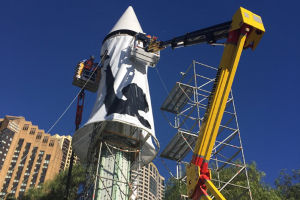 Captain Starlight's Rocket, a giant light installation in the shape of a rocket ship for VIVID Sydney festival was located at First Fleet Park, near Circular Quay no. 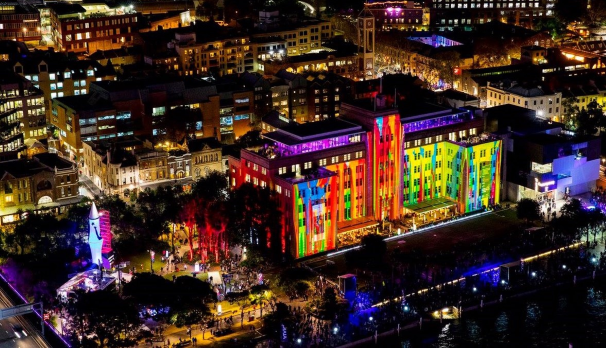 6 Wharf, Sydney NSW. 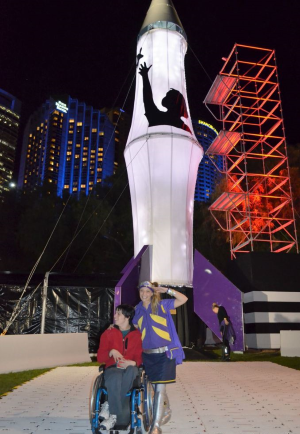 The larger-than-life structure was inspired by work done by the Starlight Foundation - a charity organisation dedicated to bringing light and laughter to the lives of sick children and their families. 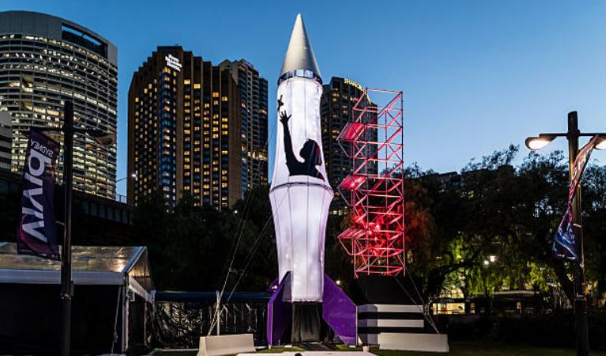 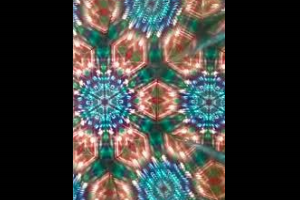 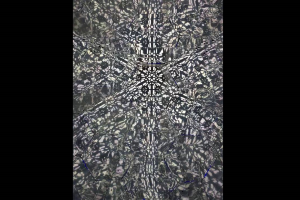 Inside the 15-metre tall rocket was a giant kaleidoscope of light, mirrors and sound fitted with LEDs to make it glow from within, and a laser beam shot light up into the sky from its nose cone.